Crucial is a brand of Micron, one of the largest manufacturers of server memory in the world. Because of this connection, we're able to leverage our manufacturing expertise to deliver several benefits you'll be hard-pressed to find anywhere else. Here are five reasons why large enterprise customers and small businesses alike prefer Crucial server memory. 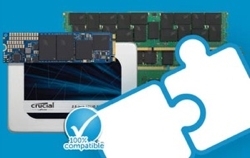 Crucial server memory is Intel-validated and compatible with OEM systems and warranties. To find compatible memory for virtually any server, just enter the server's make and model into our Crucial Memory Advisor™ tool and we'll display a list of upgrades that are guaranteed-compatible when you order on Crucial.com. Crucial server memory is often more cost-effective than OEM-branded server memory — no matter how you're looking to upgrade your servers. If you're looking to increase the memory capacity of your existing servers through high-density modules, Crucial server memory is almost always more affordable than purchasing an OEM's own brand of memory (which is usually rebranded memory). Likewise, if you're looking to purchase new servers, you can save money by purchasing servers with minimal amounts of pre-installed DRAM, then filling them out with additional Crucial server modules. Our comprehensive product portfolio includes everything from the latest energy-efficient DDR3 LRDIMMs to legacy DDR ECC UDIMMs. 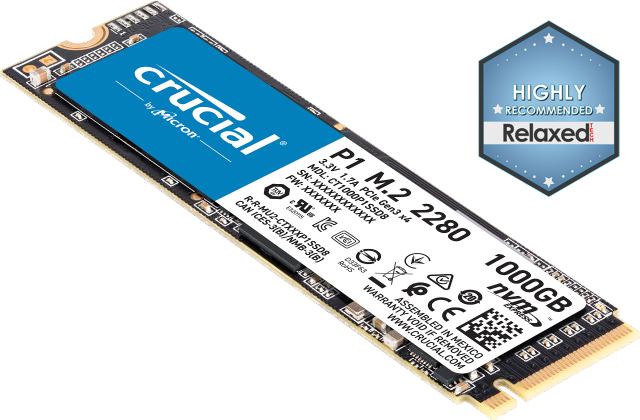 Crucial server memory is available in RDIMM, LRDIMM, FBDIMM, VLP RDIMM, ECC SODIMM, and ECC UDIMM modules. Our modules are backed by a limited lifetime warranty and over 30 years of manufacturing expertise. In terms of mission-critical reliability, Crucial server memory is tested for performance, durability, and system compatibility at both the component and module levels. Crucial server memory increases a server's ability to handle memory-intensive enterprise applications, such as virtualization, Big Data, Web 2.0, and more. As a fixed (non-shared) component, server memory plays a critical role in optimizing overall hardware performance and helps ensure that the CPU and storage components are being fully utilized.